One of our former league players, Teresa Brown, makes canvas/skate lace bags (pictured to the left and below) to hold all the items (e.g. 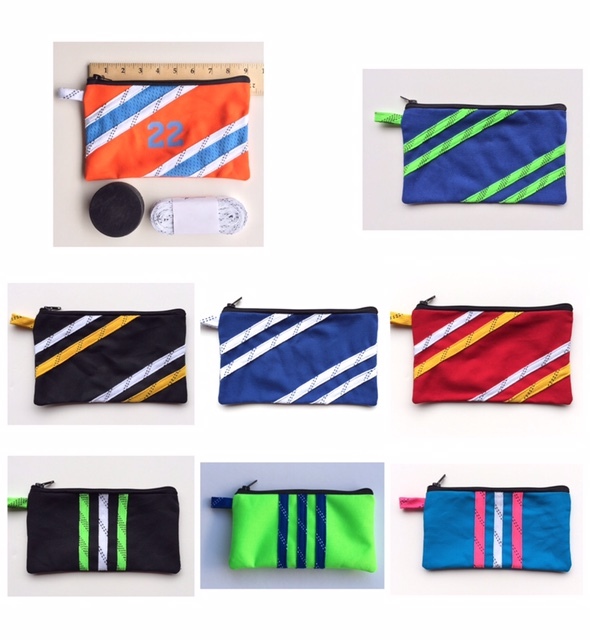 hockey tape, mouthguard case, deodorant, hair ties, etc.) which can tumble around in our bigger hockey bag. 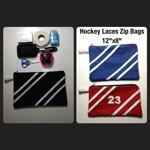 This smaller bag has a lace loop for hanging on hooks in locker rooms and is available in many color canvas and skate lace colors to match team jerseys. It can also be customized with player jersey numbers or initials. Looking to contain all of the small items that float around in your hockey bag? Do it in style. 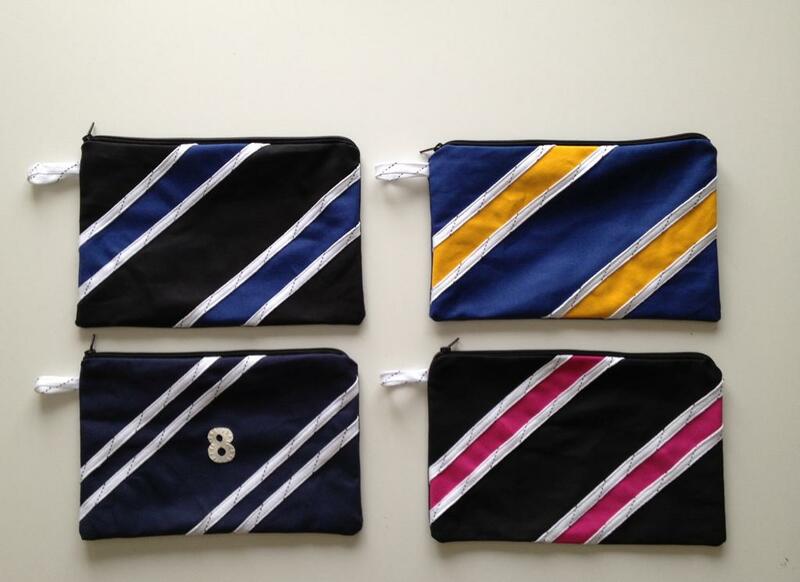 These snazzy bags are hand-made by former league player Teresa Brown and are available in color and lace customization. Sizes include 12" x 9" as well as smaller wallet sizes. Cost start at $12. For more info, contact Teresa at either of the email address listed below the pictures to the left: rgsportsusa@gmail.com or 3668skater@gmail.com.